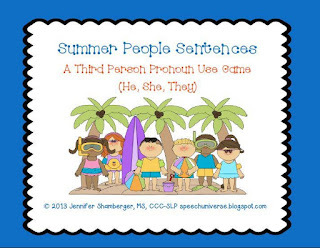 Every season, I have made an activity that focuses on third person pronouns. 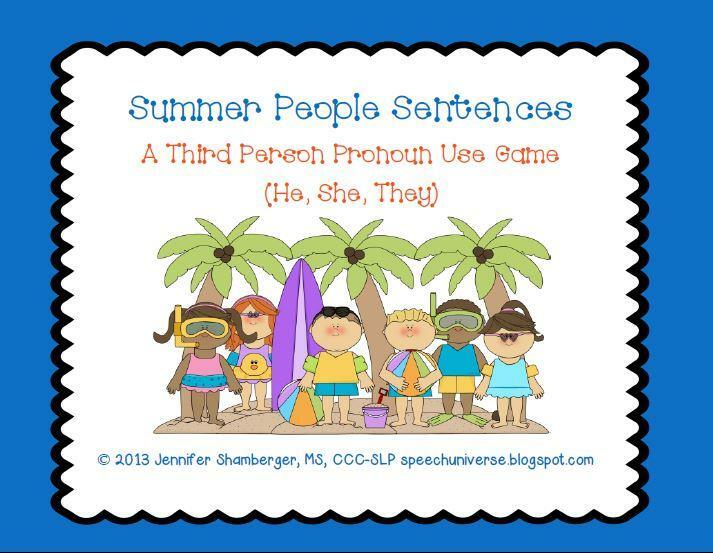 First there was Winter People Sentences, then Spring People Sentences, and now I have Summer People Sentences: 3rd Person Pronouns (he, she, they). 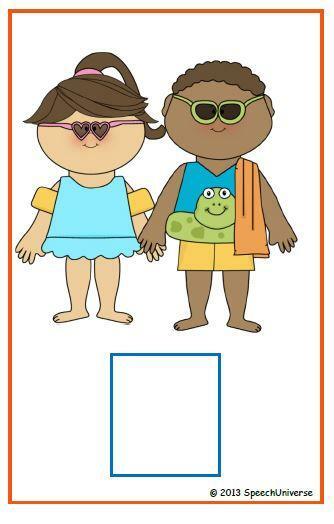 This is a simple activity that just has the students "give" an item to the boy, girl, or pair of kids. Students place the item in a box under the character, and then create a sentence such as, "She has a flip flop" or, "He has a grill." There are three mats that have visual sentence starters, and three mats that just have a blank space for the item card. 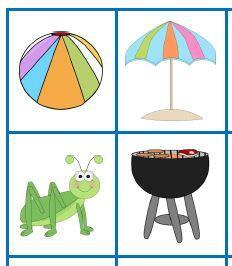 The blank ones are available so that students may create their own sentences without visual cues. I have decided to try something new with my freebie, and make it available only on my Facebook page. All you have to do to get this great free product is to like my page, Speech Universe! Once you get to my page, find the button that says "Free Downloads." This is where the freebie is located. I hope you enjoy my free activity! If you like it, please share the link with friends! This is really cute! It makes me really want summer to arrive!!! Thanks Karon! I'm so glad you can use them. Keep your eyes out for a fall version at the end of summer. I love using these with my students too!